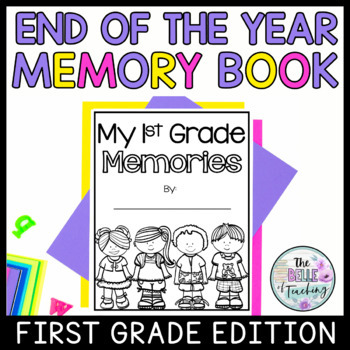 Celebrate the end of the school year with this first grade memory book! This memory book gives students the opportunity to reminisce about their year in first grade, recalling their favorite things, their friends, their teachers, classroom, and more! Finish off the book by having students write friendly messages to one another and signing the autograph page.